Clissold Park Tavern is a lively independent boozer overlooking its leafy namesake in Stoke Newington. and a super-chill place to work or study from during the week. We stock an extensive range of draught, bottled & canned craft beers, ales and ciders from a handpicked selection of local and international breweries including Luppolo, Beavertown, Fourpure & Hackney. Check in bar or on social media for weekly changes! Butler’s Gin is a new, artisan spirit produced in Hackney Wick. Distilled with a blend of Lemongrass, cardamom, coriander,cinnamon, fennel & juniper. Batch distilled dry gin with unique notes of lavender, cardamom, sarsaparilla, and anise seed, inspired by the classic “Aviation” cocktail. A botanical mix of juniper berries, coriander and fennel in the London Dry style. A London dry style gin, using copper pots and 12 botanicals including Lavender, poppy and dragons eye. Small batch copper pot distilled gin using fresh citrus peel and juniper botanicals. The first gin distillery in the East End for over a century using 100% British wheat spirit and botanicals including cubeb berry, coriander and citrus peels. An unusual gin from the Black Forest in Germany made from 47 regional botanicals such as lingonberries and blended with natural spring water. Hammersmith made, by hand, in small batches of 500 bottles a time. This delivers spirit that is smooth, full of character and has a true intensity of flavour. Rose Bellini – Spumante Prosecco & Edmond Briotette Rose Liqueur. Mojito – Brugal Extra Dry, lime juice, sugar syrup, soda & mint. Aperol Spritz – Aperol, Prosecco and soda. Margarita – Ocho Tequila, Cointreau, lime and salt. Bloody Mary – Sipsmith Barley vodka, tomato juice with all the trimmings. 101 Grand Old Fashioned – Wild Turkey 101, Grand Marnier, bitters. Espresso Martini – Frangelico, Element 29 English Vodka, single espresso shot. Boulevardier – Campari, Wild Turkey 101 and Cinzano Vermouth 1757 Rosso. Negroni – Campari, Cinzano Vermouth 1757 Rosso, East London Distillery Gin. Subject to availability and minor price changes. Happy New Year from everyone at CPT! Brush off the January blues and join quizmaster Tom tomorrow for the return of the CPT quiz! a chance to win £156 and put your knowledge of the past year to the test! It's certainly looking festive in the #clissoldparktavern garden tonight! @festivetaverns have moved in with a whole bunch of beautiful Xmas trees and have jule'd the place right up! There's also a cheeky little rumour going round that every tree comes with an elusive 10% discount card which works at our pub as well as all the other LHRC joints. Nab one while you can! Frightfully cold out, huh? Come thaw out by our ludicrously cosy open fireplaces. 🤗 Chug a mulled cider while your at it for bonus hygge-points! 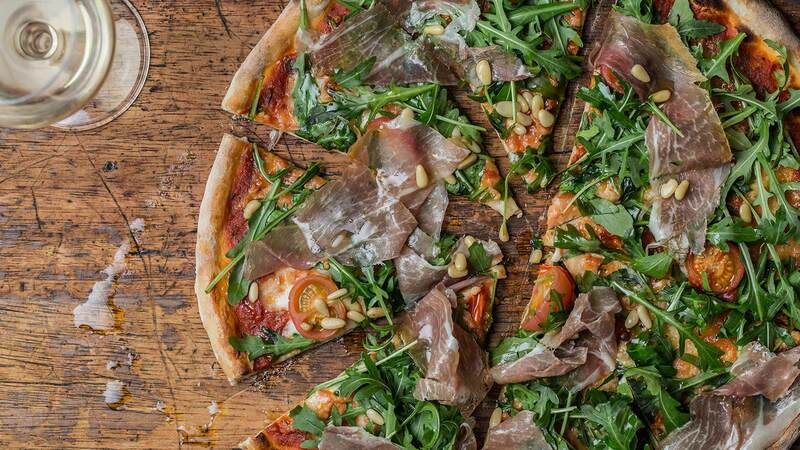 Oh and did we mention 2 for £12 on all our pizzas today and tomorrow? !